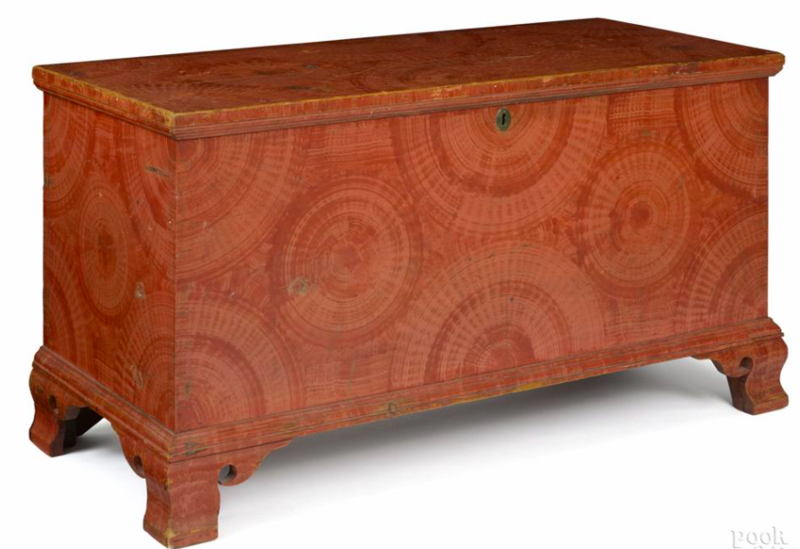 On January 13, Pook & Pook's Americana & Fine Art sale will take you across the country. 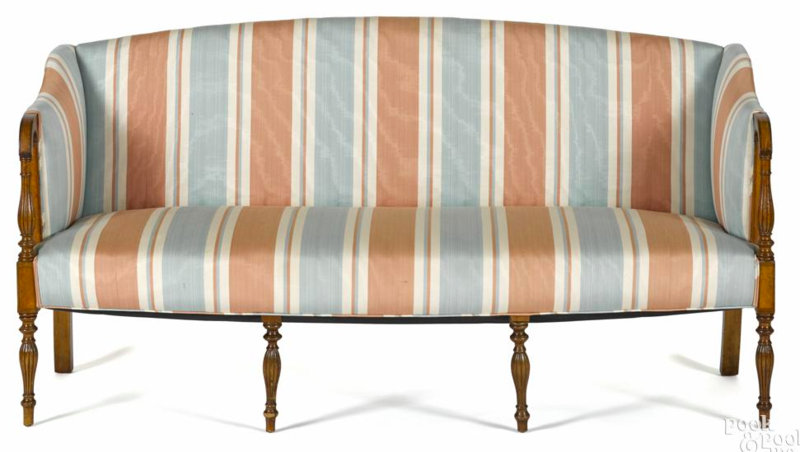 Pieces by master craftsmen from Pennsylvania, New York, Seattle, Pittsburgh and New England will be going under the gavel. 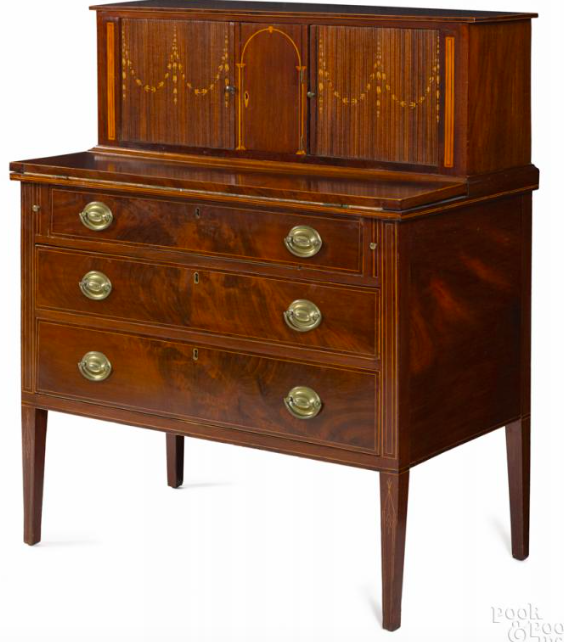 Fulton County, chest attributed to Joel Palmer. 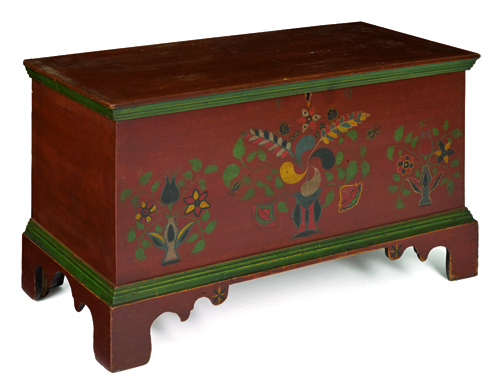 Then we head to Pennsylvania's Fulton County, this painted poplar diminutive chest is attributed to Joel Palmer. 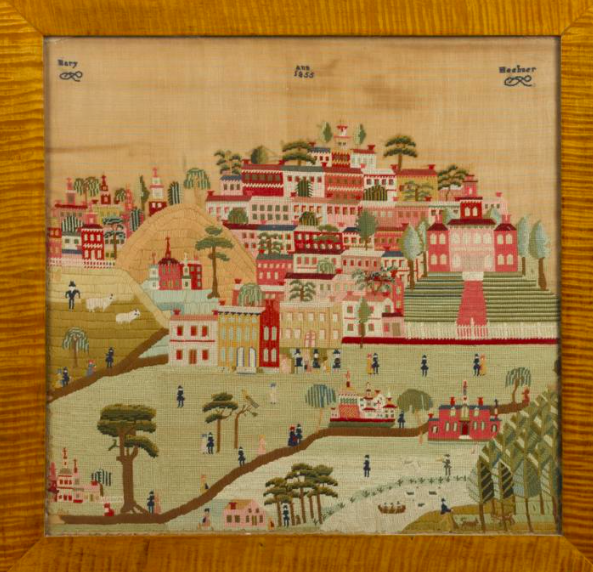 Also from the Keystone State, a sgrafitto redware charger and chwenkfelder wool townscape, dated 1855 and wrought by Mary Ann Heebner, both from Montgomery County. 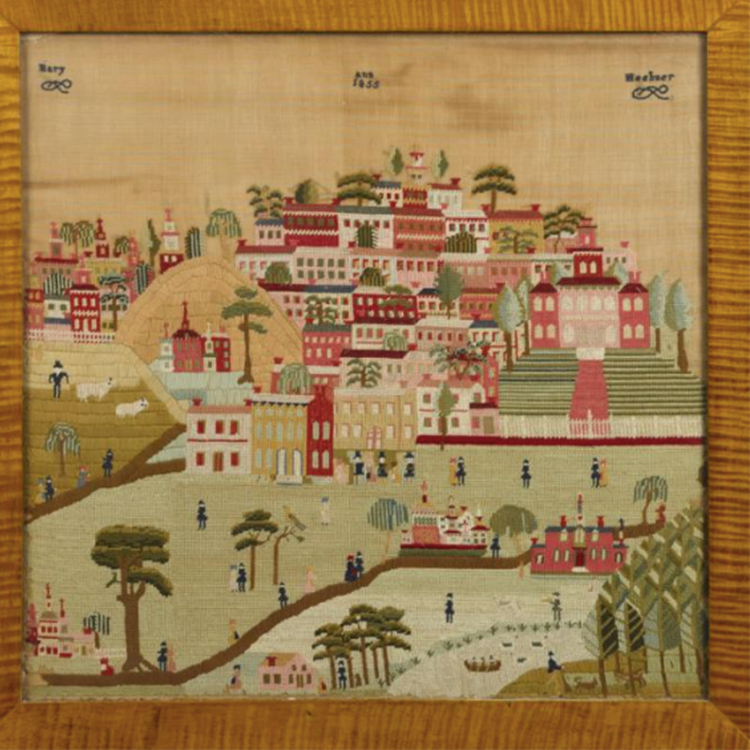 Montgomery County, PA Schwenkfelder wool townscape, dated 1855 and wrought by Mary Ann Heebner. 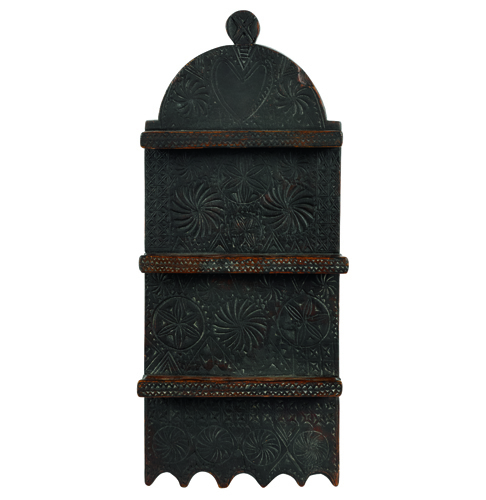 Over to New York now, or possibly New Jersey, this chip-carved gumwood spoon rack with a lollipop finial and allover pinwheel decoration is a charming example of American wood craftsmanship. 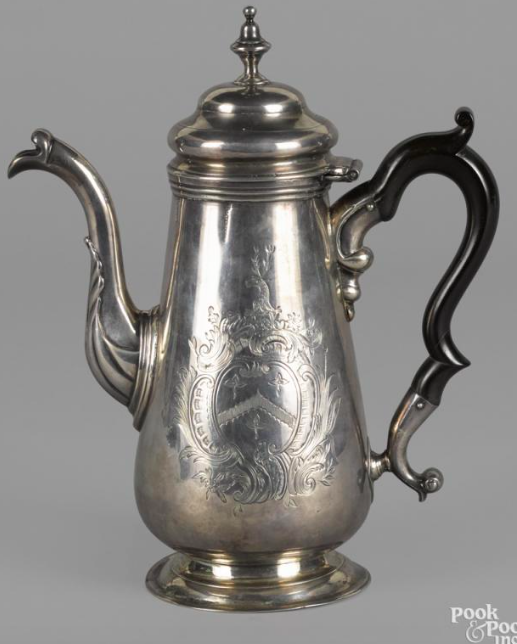 From the rustic to refined, this silver coffee pot is from Philadelphia, circa 1755, bearing the touch of Elias Boudinot and the elaborately engraved coat of arms of the Clay family. 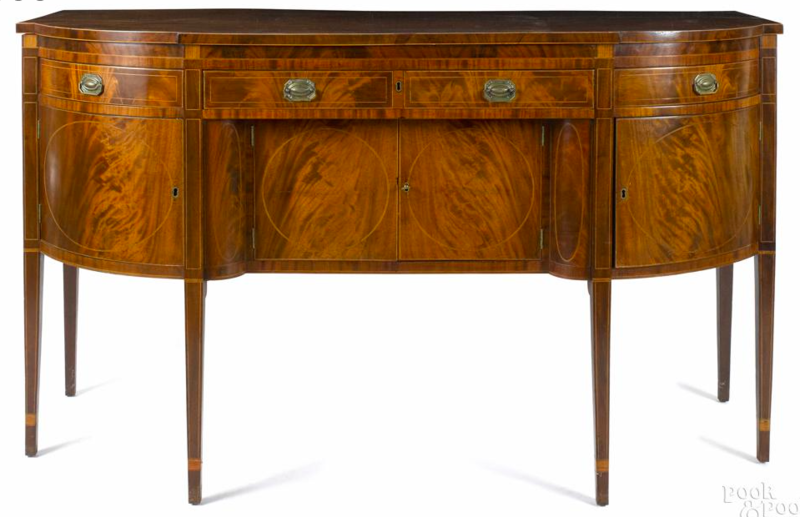 This mahogany tambour desk, circa 1800, is a fine example of Massachusetts Hepplewhite furniture. 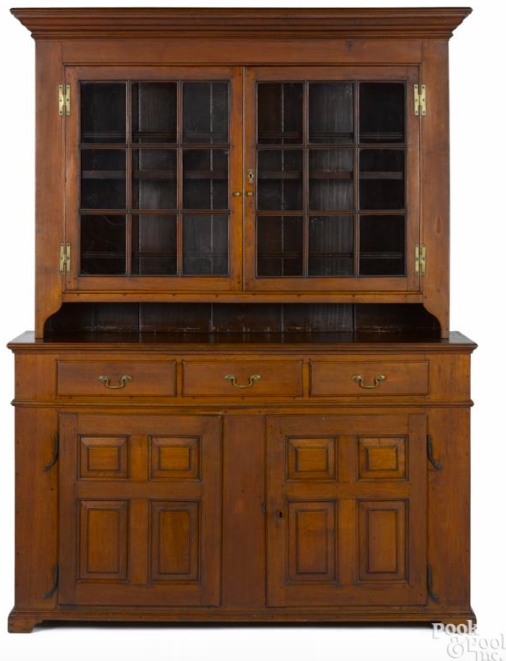 If you want to deck the house with all things Americana, check out Pook & Pook's sale on January 13. Search the full catalog on Barnebys here.